Here are our top 3 recommendations for a hookah lounge venue that will not disappoint you in world-renowned cities. 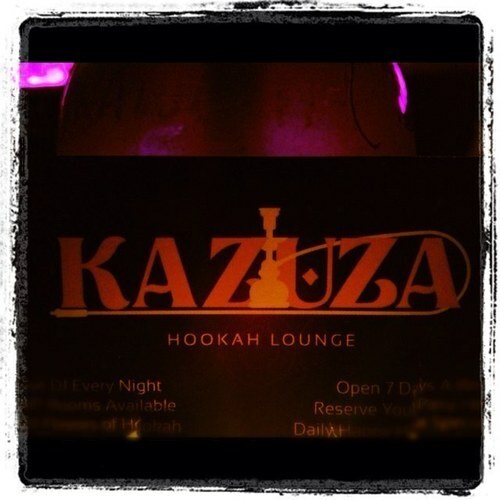 Kazuza is a hookah lounge that transports you into a Middle Eastern setting and provides an indulgent experience you’ll want to try if you are ever in the Big Apple. Patrons are greeted by skillful belly dancers and the ambiance is set up for relaxation, with soft couches and secluded corners for hookah smoking and catching up with friends. On a Friday or Saturday night expect things to be lively and a riot of colour inside. Kazuza is also known for its menu, which features tagine, Moroccan mint tea and Greek dishes and the wide selection of unusual shisha flavours they offer. Your evening will be lit with Turkish lamps and is sure to have a magic feel. A venue for relaxation with opulent decor and Syrian music often playing in the background, Sciam is a must-see among Rome’s bar and cafe scene. Fill your senses and enjoy. This place ticks a lot of boxes, as it’s not only about hookah but also a tearoom during the day and as the evening draws in you’ll find the cool Roman crowd sipping on cocktails at Sciam. On the menu are Lebanese tasty dishes, and they often hold themed nights called ‘Flavours of the Orient Dinners’ with bellydancers available for your entertainment. Outside there are cafe tables and coffee drinkers, but inside this hookah lounge, you have a chance to step away from it all. Decorated with long settees and pillows, come in to relax with friends and enjoy the slower pace of life inside. The venue is open until midnight in the hip district of Friedrichshain and you’ll stick around for the Middle Eastern food – which includes vegetarian and vegan-friendly options. Time seems to stand still here, and there are frequently live music performers so it’s a great place to wile away an evening with close friends and share a pipe.